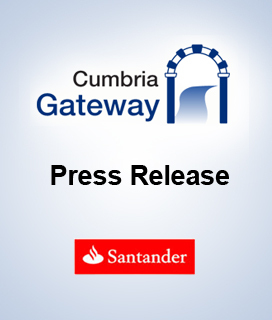 Santander’s Social Enterprise Development Awards has awarded £20,000 in funding to Carlisle-based Cumbria Gateway to help the business expand its care services for those recovering from drug and alcohol misuse. Cumbria Gateway supports people who have completed a drug and alcohol treatment programme yet need help to fully integrate back into society. This comes in the form of housing facilities, structured programmes, drop-in breakfast clubs, skills training and work experience opportunities. The group’s new Handy Person Service which provides employment opportunities for recovering substance users will be the area of investment for the £20,000 award from Santander. The scheme finds people jobs in the local community from being a handyman, decorator, plumber, electrician or gardener, helping them to get back on their feet. Santander’s 2013 Social Enterprise Development Awards saw a further 11 awards given to social enterprises in the North East. Food Nation North East received an award of £50,000, while Skills4U North East, FRADE, Core Music, Butterwick Trees and Happy to Help all received the £20,000 award alongside Cumbria Gateway. Low Luckens Organic Centre, Patchwork People, Roots and Wing, Fit 4 Life and The Star & Shadow Cinema have received £10,000. The Awards are part of Santander’s commitment to supporting small businesses in the UK. Social enterprises play a vital role in local communities by helping to deliver social regeneration and the SEDA scheme aims to help those with potential to expand their work. Alongside the prize money, winning social enterprises receive access to support from Santander including mentoring programmes, funding for internships and bespoke training. Winning organisations will also receive valuable input from the Community Foundation for Tyne & Wear and Northumberland which will work with them to assess the social impact of their business and the effect the award will have on local communities. Santander UK plc is a full-service retail and commercial bank providing services to 15 million active customers, through c. 1,200 branches and 36 regional business centres. Banco Santander is a retail and commercial bank, based in Spain, with a presence in 10 main markets. It is the largest bank in the euro zone. Founded in 1857, Santander had EUR 1.388 trillion in managed funds, 102 million customers, 14,392 branches – more than any other international bank – and 187,000 employees at the close of 2012. The administration of the funds and subsequent assessments are managed by the Community Foundation Network. Details of the 2012 winners are available at www.santanderseda.co.uk. Photos and case studies are available on request. Community Foundations make a difference by bringing together local philanthropists and organisations who wish to give money to support their local community with dynamic local organisations. The Community Foundation Network is made up of a movement of 58 community foundations in the UK.